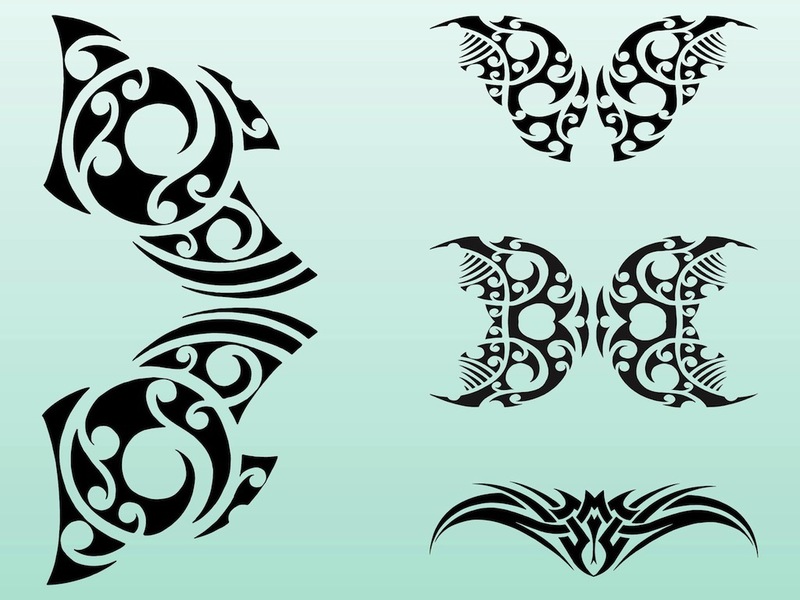 Authentic tribal vector graphics to use as a tattoo reference or T-shirt prints. Abstract shapes, overlapping and curved parts weaved together. Free vector illustrations for all tattoos, stickers, logos, decals, clothing prints, business cards and document decorations, posters and logos projects. Tags: Body Art, Celtic, Decals, Ink, Maori, Stickers, Swirls, Tribal, Waves.